Still have some gifts to snag? 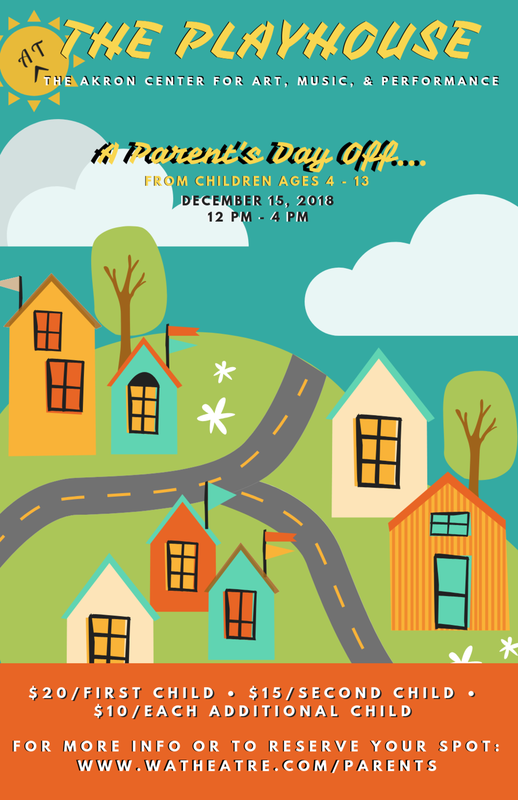 Every parent needs a day off...and sometimes the kids do too! The Center is opening up The Playhouse to kids ages 4 - 13 on Saturday, December 15th from 12 PM - 4 PM. Filled with games, crafts, music, movies and more, the kids will LOVE "The Playhouse", of this we're sure! So, parents and guardians, why not take a break and let your young ones take one too? The Playhouse will be supervised by Wandering Aesthetics' Kyle Jozsa, Dunamis Theatre's Nici Romo and Josephine Mary Reynolds.